The Mountain Group at Premier Sotheby’s International Realty is a local real estate company with worldwide ties. 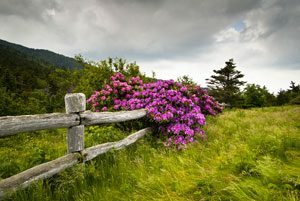 We specialize in properties in the desirable Blue Ridge Mountains of North Carolina. Pairing clients with the right home is what we do best. If Blowing Rock is a point of interest for you, you have come to the right place. 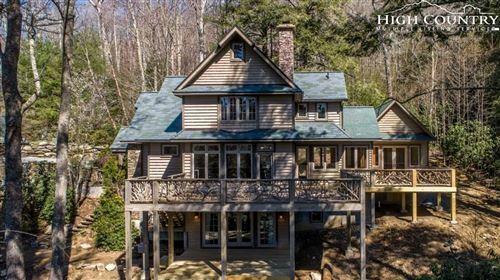 Blowing Rock is our back yard, and it boasts an attractive real estate market. Our team members live, work, and play in the region we share with clients. We know that the homes for sale are much more than meet the eye because we experience it every day. Beyond the real estate are the local shops, restaurants, galleries, businesses, parks, attractions, not to mention, the distinct climate and friendly atmosphere. Blowing Rock is a town will win you over twice. It’s a charming place that attracts people from all over for days, weeks, seasons, and lifetimes. With surrounding cities like Boone and Banner Elk, it doesn’t get much better than this. The High Country gives area residents plenty of opportunities. For this reason, the properties pretty much sell themselves, which also means they aren’t on the market for long. A serious buyer needs a competitive edge and a premium market position for a successful pursuit. Affording these conditions is our goal every time. The Mountain Group at Premier Sotheby’s International Realty has the ability to deliver. You deserve to have a real estate company that is not merely interested in helping you purchase the property of your dreams, but has the means to make it happen. Blowing Rock, North Carolina is beautiful. Whether it comes at the beginning, middle, or end of your story doesn’t matter. The important part is that we can help you determine where it fits into your life, and equally important, we can help you discover where you fit into Blowing Rock. The listing information set forth on this site is based upon information which we consider reliable, but because it has been supplied by third parties to our franchisees (who in turn supplied it to us), we cannot represent that it is accurate or complete, and it should not be relied upon as such. The offerings are subject to errors, omissions, changes, including price, or withdrawal without notice. All dimensions are approximate and have not been verified by the selling party and cannot be verified by Sotheby’s International Realty Affiliates LLC. It is recommended that you hire a professional in the business of determining dimensions, such as an appraiser, architect or civil engineer, to determine such information. Copyright © 2012-2017 The Mountain Group at Premier Sotheby’s International Realty. All Rights Reserved.